Agni is the light that pulls us out of the abyss of ignorance, from darkness into light. It illuminates the path for the journey within. For the ancient sages the soul was the sacred fire. No philosophy was necessary to explain its self-evident luminosity. They lit its flames on their altars and in their hearts as the Divine consciousness coming forth from the material world. Through it, they achieved a state of consciousness far beyond our current idea of intelligence as defined by the scientific mind and its interpretation of reality. Through it they touched the cosmic mind of which our human mind is but a spark. Agni: The Flaming Godhead derives its name from a root whose quality of significance is a pre eminent force or intensity whether in state, action, sensation or movement. 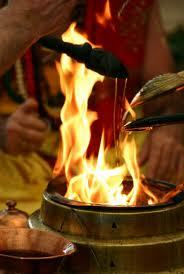 The sacred fire is the third eye of lord Shiva. Agni melts, moulds and creates, never destroys but transforms. The fire was our first guru in the infancy of our species from which we learned the secrets of light and consciousness. The sacred fire, we could say, is the spiritual ancestor of all people of all races and continents. The religion of fire remains our natural religion—the very basis of our aspiration as a species to find the light. Agni: Fire in the belly is the will to excel, to compete and emerge victorious. It propels the individual to acquire qualities needed for any transformation. He is the sheer will in the universe relentless in its pursuit. Whatever he does in his passion and power is guided by the light of the silent Truth within him. But then Agni is also merciless for it destroys those who don’t respond to its call. 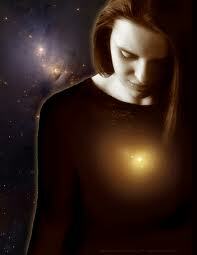 It propels us to destroy the ego we nurse so lovingly and transcend to a deeper consciousness. 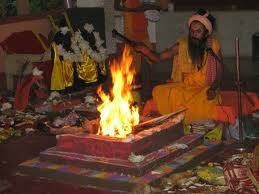 The sacred fire is the harbinger of the soul thereby delivering the “Aatma” to the “Paramatma”. The other Gods awake with the dawn but Agni rises even in the night; he keeps his divine vision even in the darkness where there is no moon or star; the flame of divine will and knowledge is present in the densest obscurity. Even for the man sitting far off in the night enveloped by darkness of ignorance, this flame is the light which when perfectly kindled stirs the universe inside us and works its magic of growth and change. Time becomes a process of transformation, nourishing our inner light and ripening our souls. In Dante’s “Purgatory”, fire signifies that every soul must wake through. Purgatory is the fire that purifies the process that forklifts the impurities out to leave the ‘Core Alloy” luminous. Agni: The mysticism of the flames signify a stated condition of effective sacrifice, The sacrificial fire used in Hindu rituals is seen as an incarnation of Agni, so he serves as a conduit that “carries” the sacrifice of a worshiper to the gods or goddesses that are being worshiped. Transformations in a society, organization, family or an individual take place when the self sacrifices the ego; that is when the soul reincarnates. “Moksha” that we constantly seek is not of the other world, it exists in ours attained by our actions and thought. Agni here being action and thought Vayu (Air). The divine force of Agni works through the vital energy of Vayu. Hand in hand they set the world on fire. All my life I’ve heard elders caution “ Don’t Play With Fire!! !”; but my life so far has been an ode to Agni which screams -”Lets Play”…!!! Agni forms the first of a five-part series by Aanchal Sethi on the basic elements and how they manifest in our lives. The articles are an attempt to inspire the reader to introspect, recognize and draw strength from one’s inherent traits which seem to embody the characteristics of each of the five basic elements. Lovely! Beautifully written. May this element of Fire, constantly purge our egos, and purify our energies...so that we attain our unique purpose..